Order any of the following by clicking here. Our price catalog and stock available lists are available to the nursery trade and other green industry professionals by contacting our office or the sales representative in your area. Our catalog is published in the spring of each year and contains information and pricing on our bare root, container and B&B product lines. Download your FREE PDF copy today. Availability lists are published on newsprint and mailed to customers monthly during the summer and fall with bi-monthly publishing starting in December and continuing through May. You can find PDF versions of our informative stock available articles in the Clippings section. 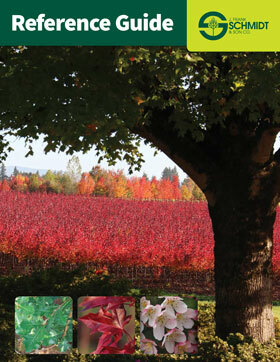 Published without prices, our Tree Reference Guide is a "priceless" marketing tool for growers, landscape architects, designers and contractors, and retail garden centers. Without revealing wholesale prices, the guide helps you to be the expert as you share valuable tree information with your customers. More than 400 trees and shrubs are described in detail, including descriptive paragraphs for each, and line drawings depicting mature form. Download your FREE PDF copy today. 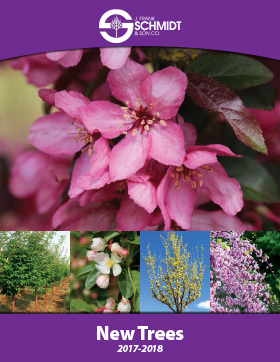 Our new trees brochures showcase the new varieties we add to our catalog offerings each year. The 2017-08 version features full-color photos and detailed descriptions of nine trees that we are listing for the first time this year. Call the office to get your printed copy today, or, download PDF versions of this brochure and those from previous years here. 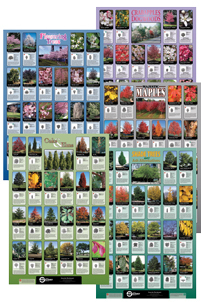 Schmidt customers and other green industry professionals are invited to boost tree sales by displaying our five colorful, informative tree posters. Landscape designers, contractors, urban foresters, horticultural educators and tree advocates are welcome to use our posters to inspire the planting of trees. Posters are available free of charge in the U.S. and Canada. We invite you to pick up your complimentary set by visiting our exhibit at one of the many trade shows, conferences and green industry events where you’ll find us throughout the year. Our sales representatives will deliver sets to established customers on their nursery site visits. All sets mailed from our offices will include an invoice of $10.00 US to help offset the cost of postage and handling. Order your set here. 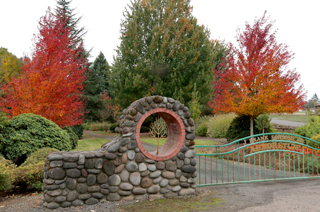 The J. Frank Schmidt Jr. Arboretum is home to more than 800 species and cultivars of deciduous trees and shrubs, including numerous recent introductions. This special place is available for customer use and enjoyment. Landscape architects, urban foresters, horticulturists, and other tree professionals are also invited to visit the collection. Established in 1984 with additions made each year, many of the older trees have grown to more than 40 feet in height and have attained mature form. Trees are grouped by genus, with larger genera grouped by species. Conifers, flowering shrubs, perennials and other garden plants complement the deciduous tree collection. Unique foliage, fruit, flowers, shape and character create a show that changes daily throughout the year. Winter-blooming Witch Hazels set the stage in January for a show of color that lasts all year. Crabapple blooms are especially nice in mid-April, after the flowering plums, magnolias and cherries have given up center stage. Colors change daily as the season progresses, as tender leaves unfold and mature to summer splendor and then explode into a kaleidoscopic array of autumn hues. Late summer is a great time to compare foliage colors and the effect of heat stress on the various cultivars. Fall color is at its peak during the third and fourth week of October. Crabapples put on an excellent show of fruit from October to December. Winter reveals the beautiful structure unique to each variety, and highlights the attractive winter bark characteristics of many species. Regardless of the season, the J. Frank Schmidt Jr. arboretum is a wonderful place to experience the beauty and pleasure of trees. To visit, please contact our office for an appointment. 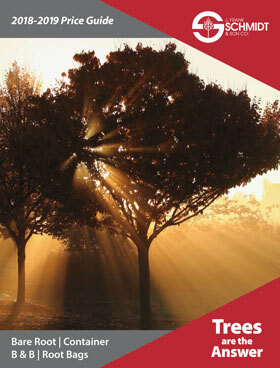 TreeLocator is designed to assist landscape professionals across the country in finding local sources of our trees. Landscape architects, designers, contractors, urban foresters and others who specify trees* are invited to consult our Tree Reference Guide for information on nearly 500 varieties and cultivars of trees. Before you specify, contact our Oregon office with your want list of the trees we grow. Include quantity and size desired, and project location. We'll match your needs with nurseries in your region who have purchased our young trees for growing on to finished size. We'll provide names and telephone numbers so you can call direct for availability. We sure you'll find TreeLocator to be a useful tool for finding the best in plant materials. Fill out the form at www.treelocator.com to get your search started today. to provide this service to individuals outside the nursery/landscape trade. or nursery professional to contact us on your behalf.